The materials on this site were prepared by Cox, Wootton, Lerner, Griffin, Hansen & Poulos, LLP (“Cox Wootton Lerner”) for general informational purposes only, and do not constitute legal advice. 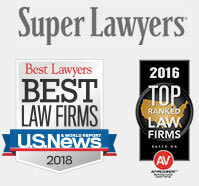 Legal matters are fact specific and viewers of our site should retain counsel to provide advice on a particular matter and should not rely upon on our site without seeking professional counsel. Cox Wootton Lerner assumes no liability for the use or interpretation of information contained on our site. The materials on our site do not necessarily reflect the opinions of our clients. Nothing on this site is intended to create in any way an attorney-client relationship. This site is not intended to be advertising and Cox Wootton Lerner does not through this site seek to represent anyone in a state where this web site fails to comply with all laws and ethical rules of conduct imposed by such state. This site contains hyperlinks to other sites on the Internet which are not owned or controlled by Cox Wootton Lerner. Cox Wootton Lerner is not responsible for any material on such sites or any other material outside of the site that is accessed directly or indirectly by any hyperlink on this site. You should not send us any confidential information unless you have entered into a written retainer agreement with Cox Wootton Lerner. The content of any e-mail you send Cox Wootton Lerner may not be privileged or confidential if you have not executed a formal written retainer agreement with Cox Wootton Lerner.